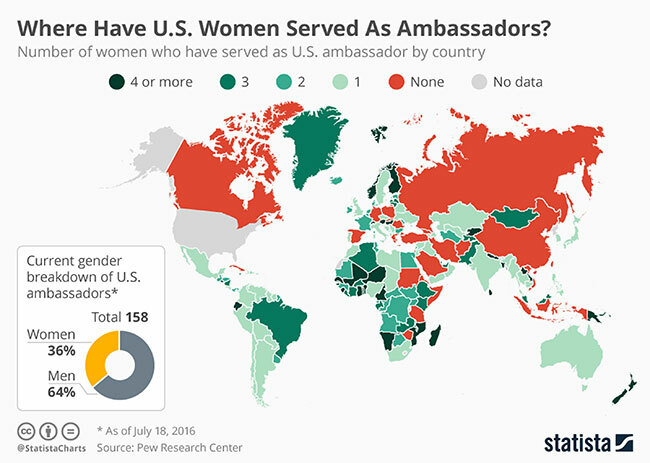 Infographics: Where Have US Women Served As Ambassadors? Throughout history, most US ambassadors have been men. Since the beginning of U.S. diplomatic relations, 4,600 ambassadors have served abroad and a mere 9 percent of them have been women. 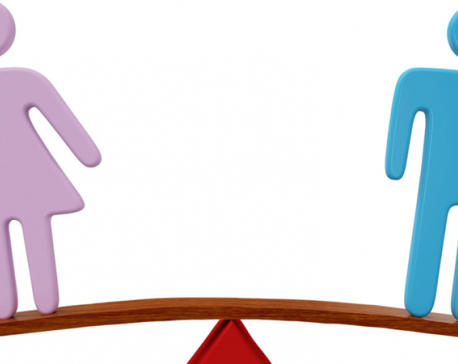 Even today, only 36 percent of the nation’s 158 ambassadors are female, according to data compiled by Pew Research. 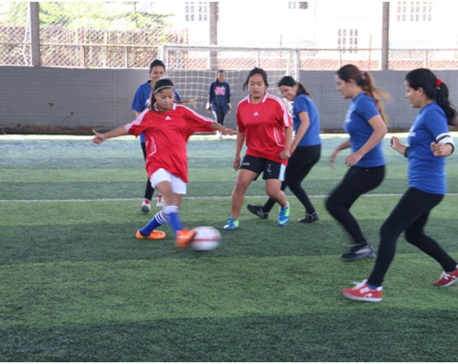 Women tend to serve in countries that are less central to U.S. foreign policy. A woman has never been appointed in Afghanistan, Canada, China, Germany, Iran, Israel, Russia and Saudi Arabia. Luxembourg has hosted seven female ambassadors over the years with Barbados, Burundi, Kyrgyzstan, Laos, Malta, Micronesia, Nepal, Niger, Papua New Guinea and the Solomon Islands each hosting six. This chart shows the number of women who have served as U.S. ambassador by country.